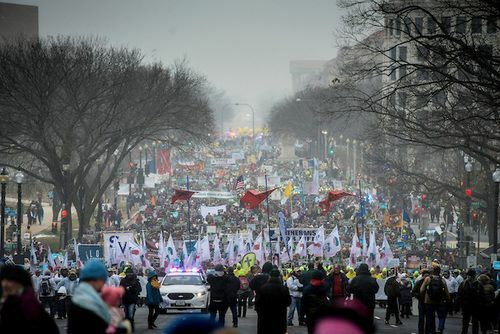 Tens of thousands of Americans filled Washington, D.C., Friday for the annual March for Life commemorating the nearly 60 million babies aborted since 1973’s Roe v. Wade Supreme Court decision. 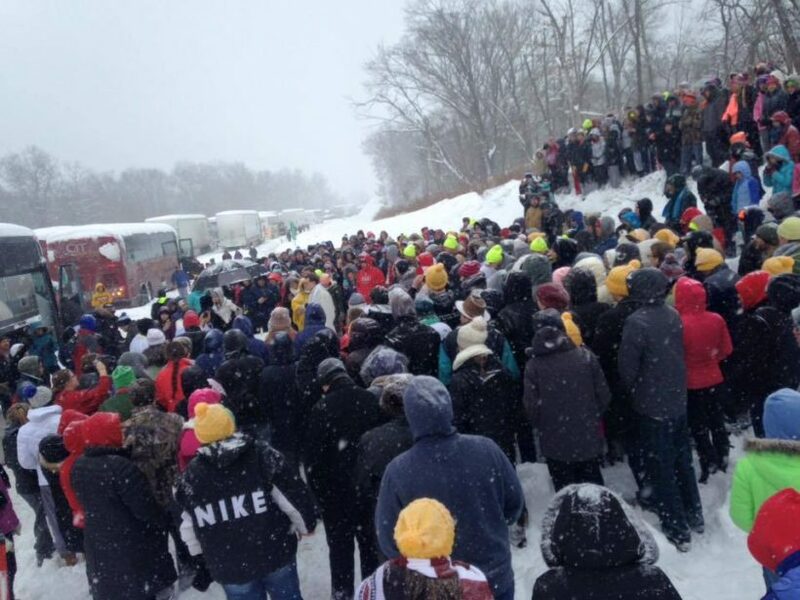 During their nationally broadcast news shows following the march (Friday night to Monday morning) ABC, CBS and NBC totally ignored the event – except as a casual reference to a group stranded in the snow. At the same time, the three networks dedicated more than nine-and-a-half minutes – 26 times more than the march – on the debut of the National Zoo’s panda cub last weekend. …..
Of the networks, only ABC had anything to say about the march. Good Morning America reported Sunday on a “group of high schoolers trying to get back to Kentucky after visiting D.C. for the March for Life.” That one mention amounted to 22 seconds. During the same time period, last week (Friday evening to Monday morning), ABC, CBS and NBC combined spent nine minutes and 36 seconds on the public debut of the National Zoo’s new panda cub, Bei Bei. ABC World News Saturday on Jan. 16 hyped “panda-monium” while CBS’ Sunday Morning on Jan. 17 highlighted the “dozens” that came to see Bei Bei. The broadcast networks and news outlets have long misrepresented the March for Life…. There were fewer participants than years past, but tens of thousands still attended the march, according to March for Life organizers. In 2014, the networks spent 46 seconds to the hundreds of thousands marching in Washington, D.C. Yet, ABC, NBC and CBS spent four-and-a-half times that on the Climate March. Since 2013, the networks have devoted just 78 seconds to the March for Life. According to MRC Latino, which monitors media reporting in Spanish, Univision’s national evening newscast, Noticiero Univision, spent a mere 10 seconds covering the 2016 March for Life Friday evening. Predictably, the mention came from within a report about the incoming blizzard. Telemundo failed to mention the march. Editor’s Note: MRC research analyst Mike Ciandella, MRC Culture staff writer Mairead McArdle and MRC Latino director Ken Oliver-Mendez contributed to this report. Methodology: MRC Culture searched Lexis-Nexis and watched morning and evening broadcast news shows from ABC, CBS and NBC. MRC Culture did not include previews of segments in the above count. Some of shows were temporarily interrupted by live broadcasts due to the blizzard. Because of the storm, only the first hour of Today was available this past Saturday and Sunday. MRC Culture watched CBS Evening News Jan. 16 and Jan. 24 online. 1. Is the fact that so many Americans (many of them high school and college students) traveled to Washington D.C. on the eve of a blizzard to attend the March for Life newsworthy? 2. Did you know so many people were pro-life? Does the media have an obligation to inform viewers of this type of story? 3. What type of bias does this post by MRC illustrate? Check out the March for Life Instagram page for photos of the 2016 March. 3. The post is an example of bias by story selection and omission.